Educator Madeleine MacIvor was among 11 Aboriginal doctoral students to graduate from the University of British Columbia’s Faculty of Education in 2012. It was the largest group of Aboriginal students to graduate with doctoral degrees from any Canadian university education faculty in one year. MacIvor graduated from the Indigenous Teacher Education Program (NITEP) at UBC with a Bachelor of Education in 1987. 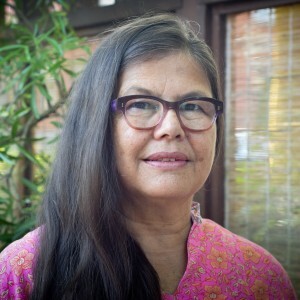 For her master’s degree in 1993, she described how science and technology education was used in the 1800s to undermine Indigenous peoples’ belief systems and organizational structures, while at the same time promoting Christianity and Victorian work values. Subsequently, MacIvor became interested in incorporating Aboriginal perspectives into school science. Her 1995 work, Redefining Science Education for Aboriginal Students is still cited in discussions of Indigenous science education. Turning her analytical lens to more recent times, her doctoral dissertation provided a crucial record of changes in Aboriginal post-secondary education policy in BC from 1986 to 2011. MacIvor, now retired, began working at UBC in 1989. Her roles included First Nations coordinator for the Faculty of Forestry, coordinator of student services for the First Nations House of Learning (FNHL), and later FNHL’s associate and acting director. Early in her career, she developed a summer science program for Aboriginal students that continues to run annually at UBC. During her time in the Faculty of Forestry, she encouraged and supported Aboriginal students, and improved enrolment and retention. MacIvor received UBC’s Harry E. Taylor Canadian Indigenous Graduate Prize in Education in 2005. Five years later, she received UBC’s Jean Barman Prize in Indigenous Education. In 2011 she received a Doctorate of Letters, honoris causa from the University of the Fraser Valley for her work in Aboriginal education.